Dear interested persons of holistic medicine, here you will receive further suggestions and valuable information around the topics "consciousness medicine", kinesiology, epigenetics and holistic dentistry based on books by well-known authors and physicians. 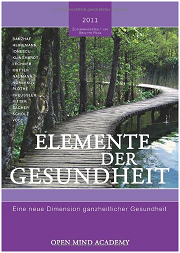 Get valuable information about current health topics and the latest findings in holistic medicine. 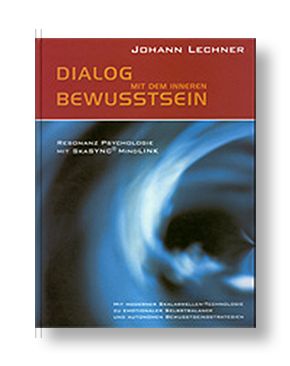 The book "Dialogue with the Inner Consciousness" Dr. Johann Lechner PhD-UCN leads us to a new quality in dealing with emotional destabilization, energetic "burnout" and orthomolecular health care. The author's more than 40 years of experience in bioenergetics describes navigation instruments for the invisible, which allow one to explore the inner consciousness. This book describes details of all MindLINK® products and their applications. 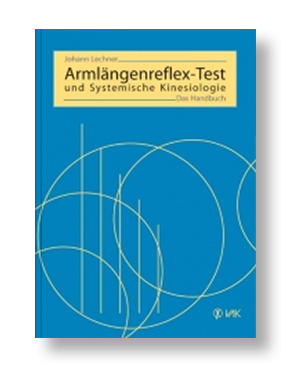 In this guide, the author introduces step-by-step systemic kinesiology with the arm length reflex test. In this investigation method, which he himself has developed, the detection of deep underlying stress phenomena is in the main topic. 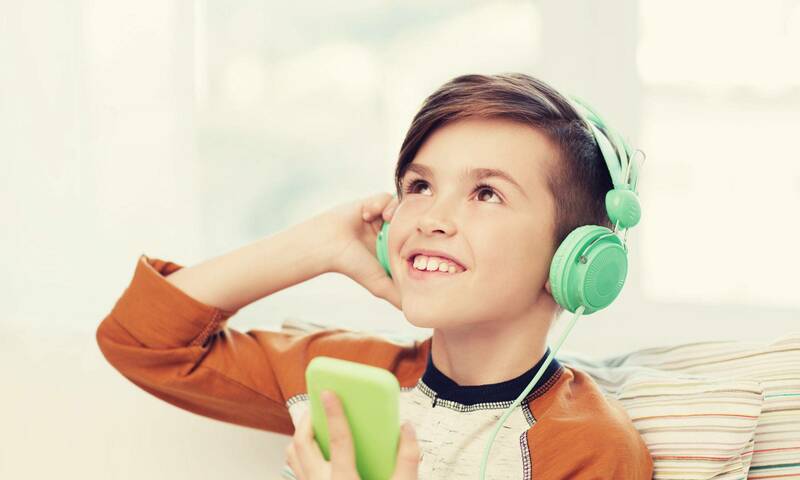 With the arm length reflex test according to Raphael van Assche, doctors, non-medical practitioners and therapists have a simple but meaningful tool to ask questions directly their patients' organism. The execution of the test and the assessment of the answers given by the body in form of reflex reactions are presented in detail by the author in words and pictures. Dr. Harald Banzhaf, Univ. Dr. Doz. John Ionescu, Dr. Dietrich Klinghardt, Dr. Joachim Mutter, Dr. Holger Scholz, Dr. Johann Lechner PhD-UCN, et al. This book is intended to address two groups of readers. On the one hand people, who want to find out about important health issues of our time, on the other hand, people who are looking for information about their disease. For the latter, some very detailed instructions have been included. The detailed information comes from the practical work of the authors with patients and should give suggestions. How healthy we are, depends essentially on our teeth. But very few dentists know about these connections. They use metals and toxins that pollute the body. Dr. Johann Lechner wants to change that. The holistic dentist combines ancient healing knowledge with the newest science and technology. Did you know that tental bacteria can trigger a heart attack? That interference fields in the mouth can lead to joint inflammation? That unsecured wounds after tooth extraction are a constant source of danger? Sick teeth, as well as wrong dental treatments burden humans. They weaken the immune system and cause chronic diseases. 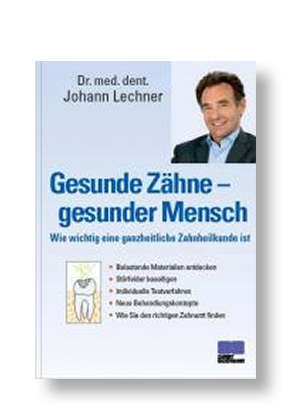 Lechner's dentistry is undogmatic, it does not single out individual toxins such as amalgam. At the center of his treatment is the whole patient with the sum of his symptoms and burdens. He helps his patient‘s - not only with pliers and drills, but with homeopathy, kinesiology and acupuncture. A controversial work for anyone who wants to have a critical conversation with their dentist. We explicidely point out, that the presented methods and devices are methods of empirical medicine and Naturopathy, which are not scientifically recognized. For testing, ideomotor reflexes and procedures of Kinesiology are used; the results are purely energetic.